During Wills Week, lawyers take instructions and write Wills for clients in exchange for donations to the hospice rather than their usual fees. While the main Wills Week campaign launches in June each year, many of the participating firms continue to write Wills throughout the year, giving an extra boost to the money raised for the Hospice. 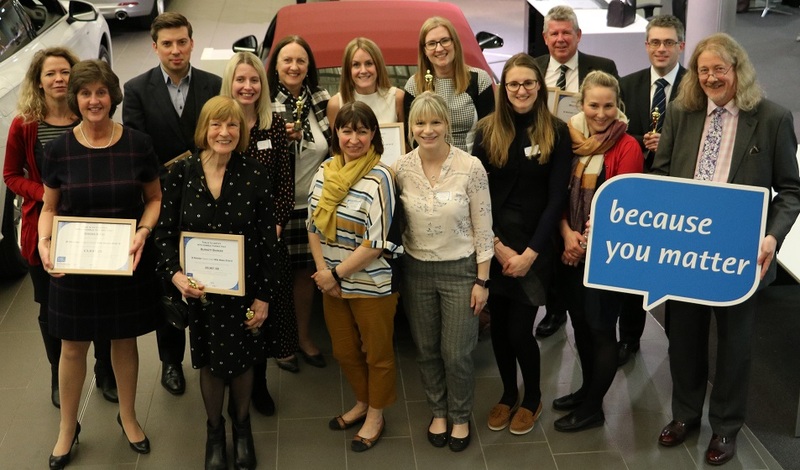 Lawyers celebrated their record-breaking donation at the Hospice’s 2nd annual awards evening at the Audi showroom in Bury St Edmunds, where they received a framed certificate recording their contribution towards the Wills Week campaign total. In a more light-hearted vein, Oscar-style trophies known as Wilfreds, were awarded to the legal firms. The Hospice’s 16th Wills Weeks campaign launches on 3 June 2019.